The following article was first printed in The Daily Express Tribune, October 5, 2015. Around a decade ago, when I was country head (telecom) of German multinational Siemens, who were the largest provider of telecom equipment in Pakistan at that time, mobile telephony was witnessing a boom. Hundreds of thousands of new mobile phones were being imported every month. Each phone was subject to 10% import tax. Driven by volume with very thin margins, each percentage point becomes extremely important. When Siemens also became an importer/seller of mobile phones, some strangers started approaching with “offers” that they could help us save half the import tax, provided we forget about “legalities”. At first, we ignored such offers, but then the situation became serious when smuggled phones, ironically manufactured by our own company, started competing with our legally imported phones in the local market. These phones were brought in by smugglers from third countries (serial numbers distinguished them). We found that we were not alone in this. All legal importers of mobile phones were facing the same dilemma. Legal importers therefore started knocking at various doors of the government. We tried to explain that smuggling of mobile phones was on the rise due to which not only legal importers were suffering, and the smugglers thriving, but the government too was losing revenues. During these discussions, several “solutions” were discussed. The solution that we gave was that since all phones were being connected to mobile networks, any tax (if there had to be one) should not be charged at the import stage, rather it should be charged at the time of activation of the phone! We argued that this would kill the incentive to smuggle, while the government would continue to get its revenues in the form of activation charge. That was how the levy came into being. Like always, it took the government some time, but ultimately it was accepted and mobile phone smugglers had no business case anymore. There is a thing called Account Settlement Rate (ASR) – a combination of charges on incoming international phone calls going to the government and the long distance international (LDI) operators. Under a well thought-out policy, till 2008, the ASR had been steadily sliding towards zero. Starting from 16.5 cents per minute, it had come down to 7 cents. In fact, competition was making LDI operators contribute a couple of cents out of their own profits thus, consumers were paying around 5 cents per minute as ASR. Suddenly the newly installed government jacked up the ASR to 10 cents, and then to 12.5 cents. Same cause-and-effect ensued, since the smugglers do not pay such taxes/charges, smuggling of international call minutes became lucrative and calls from illegal – also called ‘grey’ – channels began to flourish. Due to big outcry against “grey” traffic, the ASR had to be cut down to 7.75 cents in April 2011. But that was not liked by vested interests – it is alleged that some influential people were also involved – therefore, someone came up with another “innovative” solution. All licensed international operators were brought together under the umbrella of “International Clearing House” (ICH). Their profits were fixed and assured. In this “safe” environment, the ASR was increased to 8.85 cents. This made the incoming international calls expensive but provided a handsome margin to smugglers. Before creation of ICH, the incoming calls in September 2012 were not all coming through legal channels, but even then 1.946 billion minutes per month were coming in legally. By November 2014, only 19% (367 million minutes) remained legal. After showing an initial rise, the government revenues dwindled correspondingly. Finally, the present government – belatedly but thankfully – decided to disband ICH and slash the ASR, which took effect, after the usual court cases, in February/March 2015. Result of slashing the ASR is that by August 2015 the legal international minutes have soared to 1.36 billion minutes. 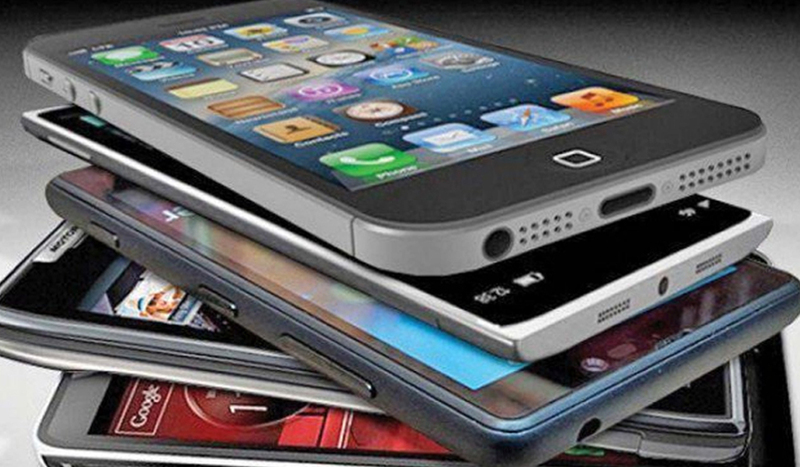 In the national budget, the government increased tax on mobile phones. On a low-end smart phone with a price tag of Rs10,000, tax went up to Rs1,000. As a result, within the first quarter, the number of phones being imported and sold legally – a number that had been on the rise – declined by over 8%. Needless to say, the gap is being filled by smuggled phones. Consequences are the same hence, the lessons learnt are the same again. Amid such taxes, it is the legal business that gets hurt, smuggling thrives again and the sector suffers. The government itself suffers through lost revenue. It is said that the only lesson we learn from history is that we don’t learn any lesson from history. But making an attempt at rectifying a decision that has backfired is something the policymakers can do. The writer is former CEO of the Universal Service Fund and is providing ICT consultancy services in several countries of Africa and Asia.